The Kodak Albuquerque International Balloon Fiesta. during their 20 year celebration. I hope you enjoy my photographs from the 1998 Fiesta. the field during the first mass ascension on Saturday. 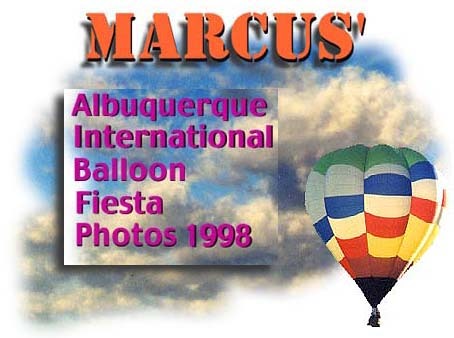 Albuquerque International Balloon Fiesta October 6-14, 2001.
quickly, most reservations need to be made at least a year in advance. Enjoy the photographs, "Viva la Fiesta."